When I was briefly in graduate school in 1995, I was fascinated by the fate of the letter in the digital age. While studying abroad at King’s College in 1992, I wrote letters weekly and eagerly checked my mailbox daily. Just three years later, all my written communication was done over the University’s email system. This shift got my brain churning. What effect would this electronic revolution have on future scholarship? How would the letter and the manuscript change? What would libraries and collectors archive and preserve? Would future scholars have to learn HTML and computer languages as much as they had to learn French and French literary theory? My fellow students and professors were more concerned with the French and Derrida. With their indifference they told me to leave the email alone. Little did I know that the repercussions the digital age was having on information was obsessing Derrida as well. Lectures and collections such as Paper Machine (a 2005 collection of Derrida’s later writings) and Archive Fever (in large part a 1994 lecture and essay published in 1998) demonstrate that late in his life Derrida delved into the questions that kept me up at night. More than ten years later, scholars, philosophers, librarians, and archivists are still struggling to come up with answers to the question: Are paper and the book doomed to the dustbin of history? Besides my own experiences with letter writing, my obsession with letters grew because my favorite writer (Burroughs) and poet (Charles Olson) depended on the letter as a tool of communication, memory, and creation. It could be argued that the form of the letter was the most crucial element in the creative process of both men. The publication of Burroughs’ first volume of collected letters in 1994 was a bombshell. I read the letters at graduate school and with a nudge from Oliver Harris’ introduction quickly realized their importance in Burroughs’ life and work. In addition, it became clear to me that the Beat Generation was the last literary grouping that was held together by the process of letter writing. My obsession with letters grew stronger at that point and continues to this day. 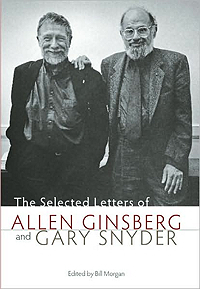 So I eagerly awaited the publication of the Letters of Allen Ginsberg and the Selected Letters of Allen Ginsberg and Gary Snyder, both edited by Ginsberg bibliographer and archivist, Bill Morgan. I have to be upfront and state that I have yet to read the collection of Ginsberg / Snyder letters. Despite this, in my opinion, it is fruitful to consider these two books of letters together. 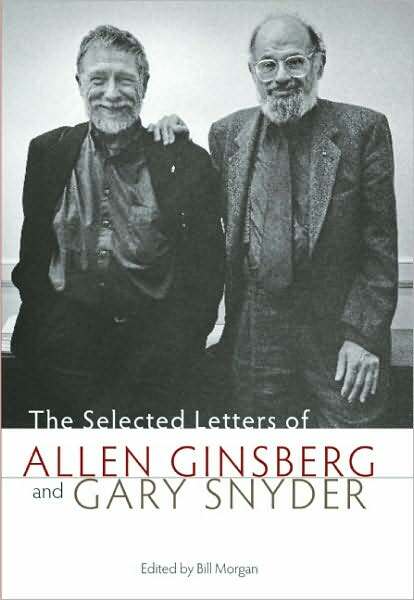 I am basing my thoughts on the Ginsberg / Snyder letters on my reading of similar collections such as the Ginsberg father / son collection (Family Business), the Ginsberg / Cassady volume (As Ever), and the Orlovsky / Ginsberg collection (Straight Hearts’ Delight). Make no mistake a general collection of Ginsberg letters is a big deal, but it is obviously a greatest hits album rather than a concept album. More Beatles Anthology than Sgt. Pepper. For reasons I’ll get into later, I prefer Sgt. Pepper, but this overview of Ginsberg’s letters definitely has its value and importance. 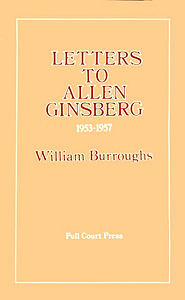 Reviewers have singled out certain letters where Ginsberg expresses his awareness that his archives would be combed over for years after his death. Not surprisingly, Ginsberg advised Burroughs to get his archives together in 1973 when Burroughs needed cash for his move from London. Despite being labeled anti-intellectual and oblivious to tradition, the Beats were hyper-aware of their own importance and the need to archive their history. I have always felt that Kerouac provided the example in this regard. The fact that Kerouac in 1944 had preserved his one million word output in meticulous notebooks and that at the same time he obsessively kept statistics and records clearly rubbed off on Burroughs and Ginsberg. In his recollection of Kerouac (“Remembering Kerouac” in The Adding Machine), Burroughs refers to Kerouac’s compulsive nature as a writer and the effect such practices had on him. Ginsberg had the bug too. From his childhood, Ginsberg kept everything and documented his every waking (and subconscious) moment. For those prepared to go to the source and get to the raw material that researchers like Morgan, Barry Miles and Michael Schumacher mined so fruitfully in their biographies, the collected letters is a godsend. Going to the archives is impossible for all but a select few, and Morgan does a great job of sorting and selecting the pure gold from the seemingly endless vein of written material. What a pleasure to have the letters to Richard Eberhart and John Hollander coupled with selections to all the major Beat figures like Kerouac, Corso, Orlovsky, and Ferlinghetti. It is true that some of this material was available elsewhere in bits and pieces. Take the letter to Richard Eberhart, a major document of Ginsberg’s poetics. For example the letter was published by Penamen Press in 1976, but that publication is now over $100 on the rare book market. The letter appears again in the facsimile of Howl from 1986. Before this edition was reprinted, that book was fetching $75-100 as a first edition. In addition although Family Business is easily available, Straight Heart’s Delight and As Ever are not at your local Borders. So it is a major event that a wide swath of Ginsberg’s letters is readily available in one collection. 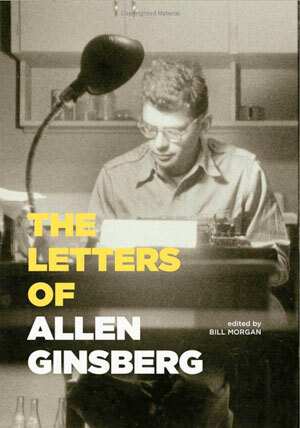 Ginsberg now follows Kerouac, Burroughs, Neal Cassady and Gregory Corso in having a selected letters on the market. That said I am going to read with more interest the Snyder / Ginsberg volume. Letter collections featuring both sides of a correspondence provide a level of detail that I revel in. Give me the ten volumes of Robert Creeley and Charles Olson letters. Give me the collection of letters between Frances Boldereff or Edward Dahlberg and Olson over editor Ralph Maud’s Selected Olson Letters. Bukowski’s Screams from the Balcony is incredible, but Beerspit Night and Cursing (or the harder to find and more expensive Bukowski / Purdy letters) interests me far more. But let’s take the discussion back to Ginsberg. What a treat to read a few scattered letters to Louis Ginsberg, but what an experience to read an entire volume dedicated to their correspondence. A general collected provides a sense of time but it does not allow enough depth and detail. Reading Family Matters one gets a fuller, more complex understanding of Louis and Allen Ginsberg’s relationship. Clearly such a volume has its dull patches but the increase in comprehensiveness more accurately reflects the passion and boredom, the ebb and flow of a complex human relationship. Collected letters are too one-sided for me. I love the call and response of a complete correspondence. Letters go two ways and reading a general collected is like a game of telephone. You have an incomplete idea of what is being discussed. Nowhere is this more obvious than in Burroughs’ Letters to Allen Ginsberg 1953-1957 collection published by Full Court Press (and republished in large part in Oliver Harris’ edition of Burroughs letters). Burroughs either lost or destroyed all of Ginsberg’s letters. I have always been surprised, given his obsessive archiving, that Ginsberg never kept carbons, but the fact remains that the conversation during this period remains one-sided. The silencing of Ginsberg is deafening. A full understanding of their relationship at this time will never be known to say nothing of the history of the composition of Naked Lunch. 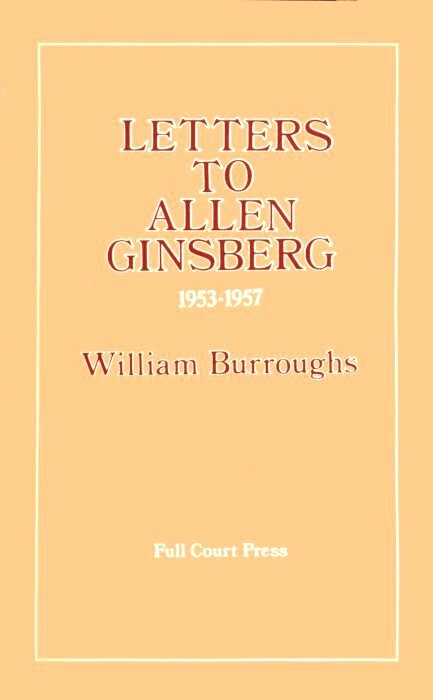 Given the importance of letters for the Beat Generation (think Cassady’s Joan Anderson letter which spawned Kerouac’s spontaneous prose), the letters of Ginsberg to Burroughs are of tremendous significance. Just how involved was Ginsberg in the creation of Naked Lunch? Like so much surrounding Burroughs’ masterpiece this, too, will remain a mystery. To get back to where I started, what will be the digital revolution’s effect on letters? If the internet has made obsolete the act of letter-writing, it provides the means to preserve and distribute the letters of the past. Will the Burroughs archive at the New York Public Library ever be online? I can get a hold of the collected letters edited by Oliver Harris. No reason to digitize that, but what about the thousands (???) of letters sitting at the Berg or Ohio State? This is the stuff that is impossible to get a hold of. For example, the Burroughs book I am most looking forward to is the correspondence between Burroughs and Brion Gysin (said to be forthcoming from Ohio State University Press). Burroughs fans have never experienced Burroughs in conversation, in true collaboration. Remember Ginsberg has been erased. Next to Ginsberg, Gysin is Burroughs’ most important collaborator. Maybe the most important. Will this collection ever see publication? Given the struggles of the print industry would it be easier to provide this correspondence online? Take the Google project. It is all well and good to digitize the New York Times bestseller list of the past 50 years but when are we going to digitize the literary and historical archives? Is this a personal obsession or is this the stuff that really matters? To me, the Google digitization project is really tied to selling Kindles, not distributing information. Similarly general collections of letters get published because the reading public wants and buys greatest hits albums, but what really matters to me are the Sgt. Peppers. This is because while history is disseminated with the help of greatest hits albums, history is made and written with the help of the Sgt. Peppers. Correspondences, like that between Snyder and Ginsberg, are definitely not easy listening, but like a particularly challenging piece of experimental music, they stick in your head, become a part of you, and change the way you experience the world around. They do this by taking you out of your everyday reality and placing you right in the middle of an intimate conversation. To my mind, such a reading experience is sweet music indeed. Written by Jed Birmingham and published by RealityStudio on 9 March 2009. I’ve just been reading about the Burroughs/Ginsberg correspondance too, in ‘The secret of fascination’. When you say that, in terms of that correspondance, the silence of Ginsberg is “deafening”, well..it’s just so SAD… :( That said, i perked up when you mentioned the Bill/Gysin Letters. My fingers are crossed!! Personally I find it very strange that Burroughs lost Ginsberg’s letters. Yes, he tended to be disorganized, but he managed to save carbons of every letter that he wrote himself. Furthermore, while in Tangier he was so lovelorn on account of Ginsberg that it is difficult to imagine him being careless with letters written by the very man he claimed to love so much. It makes you wonder whether there isn’t another story here. Were AG’s letters lost? Did Burroughs destroy them as a way of exacting vengeance for unrequited love? Did Ginsberg destroy them when visiting B in Tangier? Did Peter Orlovsky pilfer them when visiting B in Tangier?